In the 2014-2015 season, both the California Baptist University men’s and women’s basketball teams participated in two NCAA Division II basketball tournaments and expect greater success this season. The women finished last season with a 24-4 record overall as the first runner-up at the NCAA Division II championships, falling to California University of Pennsylvania. This season, the women were ranked in the top spot of the PacWest preseason poll and debuted this season at the No. 3 spot in the NCAA Division II, two spots above 2015 NCAA DII champions, California University of Pennsylvania. Jarrod Olson, head coach of the women’s basketball team, emphasized having confidence in knowing what is in store for the season. Olson said he expects a different season this year, expecting to take on new opponents. “Every season is going to be different and it is going to add some challenges,” Olson added. Kamille Diaz, junior sociology major and guard, said the memory of the NCAA Women’s Basketball Championship game last year stayed with her even when the school year ended. “Once summer came, I had worked hard to get where we left off,” Diaz said. Diaz said teamwork paved the way to success in the NCAA Tournament. Cassidy Mihalko, junior business administration major and guard, agreed that the team’s success was credited to the team’s chemistry. The men’s team debuts this season with similar expectations, debuting in the NCAA Division II at the No. 11 spot. 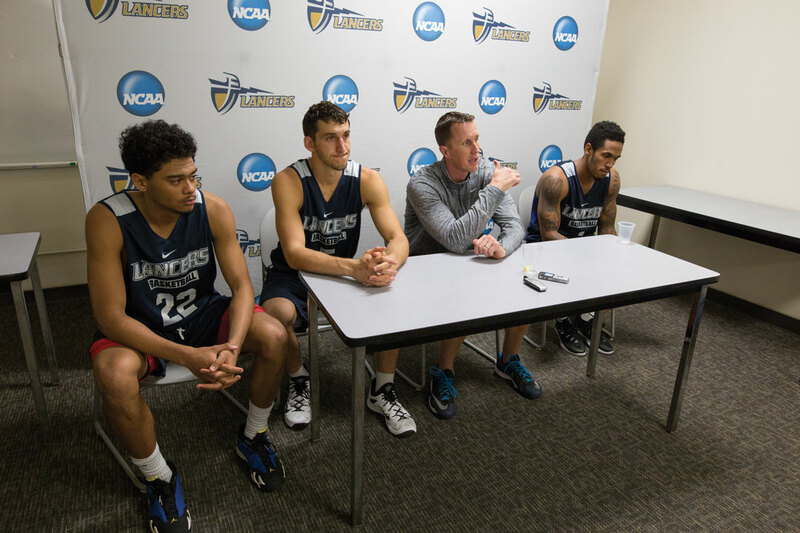 Last season, the men’s basketball team finished the season with a 26-7 record, but was defeated by Azusa Pacific University for the NCAA Division II West Regional Championship title. Rick Croy, head coach of the men’s basketball team, said the team strives to motivate one another strongly during the entire season. Michael Smith, junior business administration major and guard, put an emphasis on hard work and determination, confident that those elements will bring the team success.